In a separate bowl, combine and whisk the liquid ingredients. 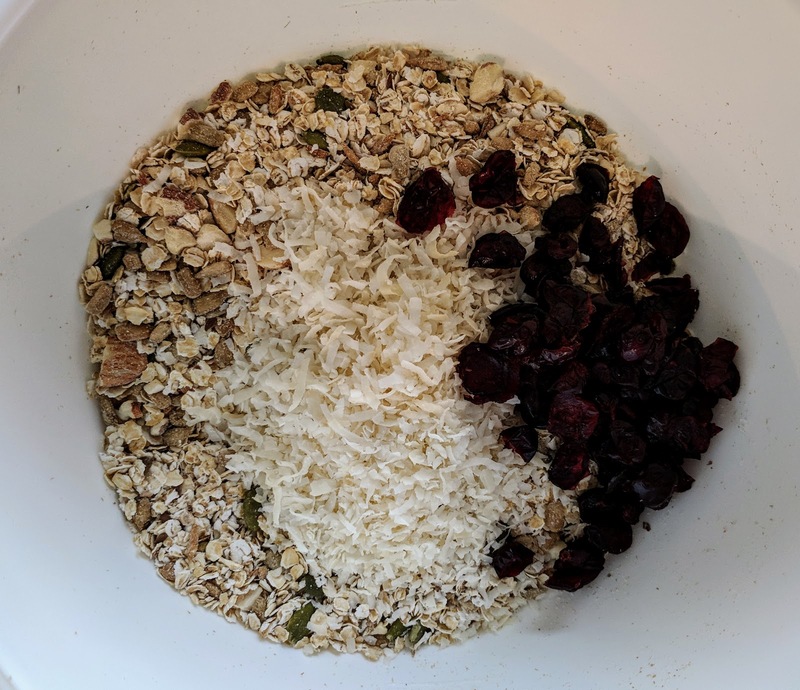 Pour the mixture into the dry ingredients and combine well, using your hands to toss and mix. 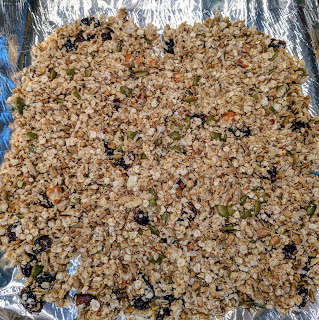 Set the oven at 300F, place the granola on tin foil over the baking pan spread around evenly. 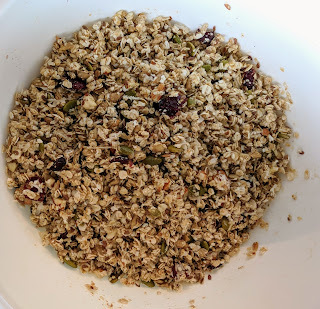 Bake for 40-45 min until the granola is brown and roasted. 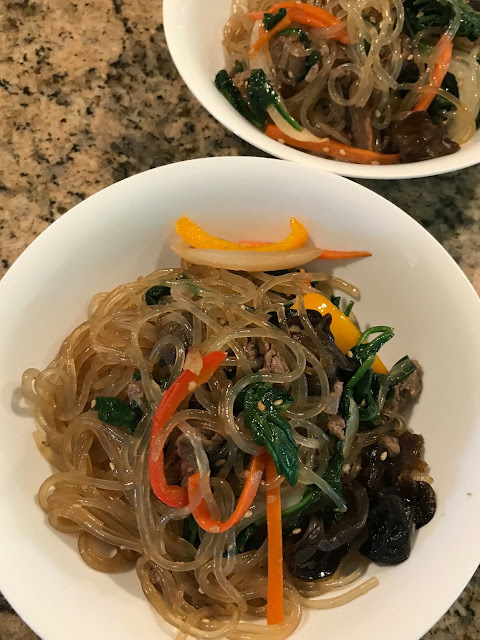 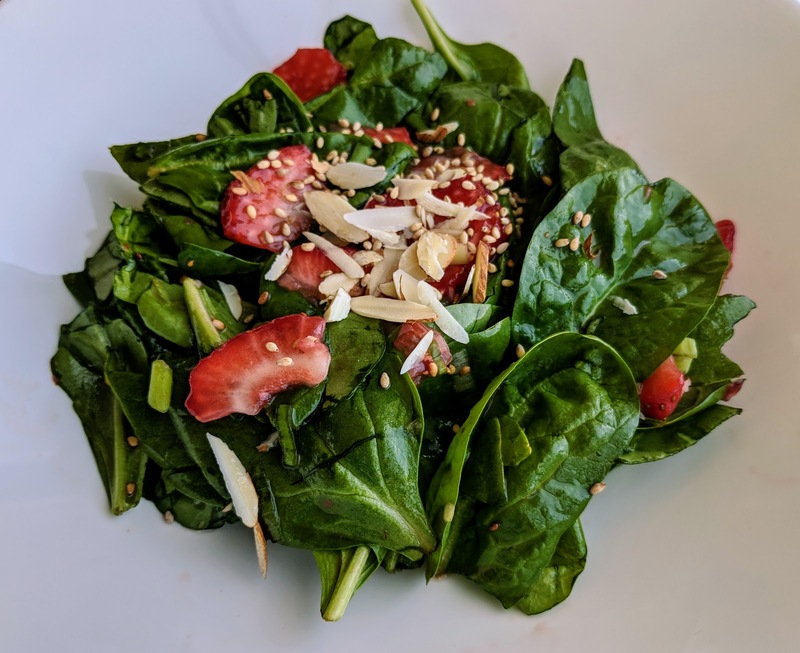 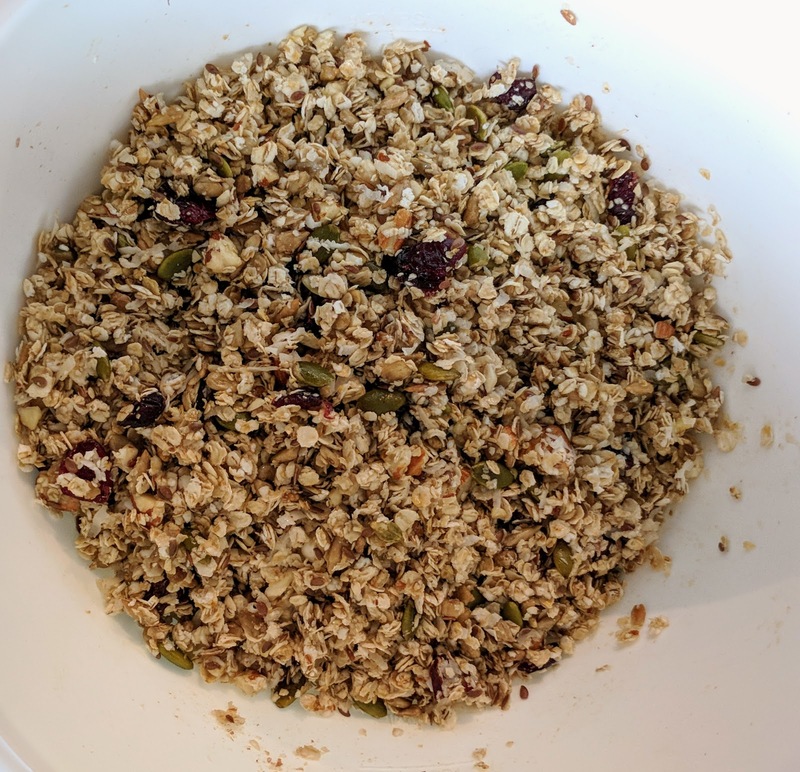 Cool down for 30 min and serve with yogurt, parfait or cereal. 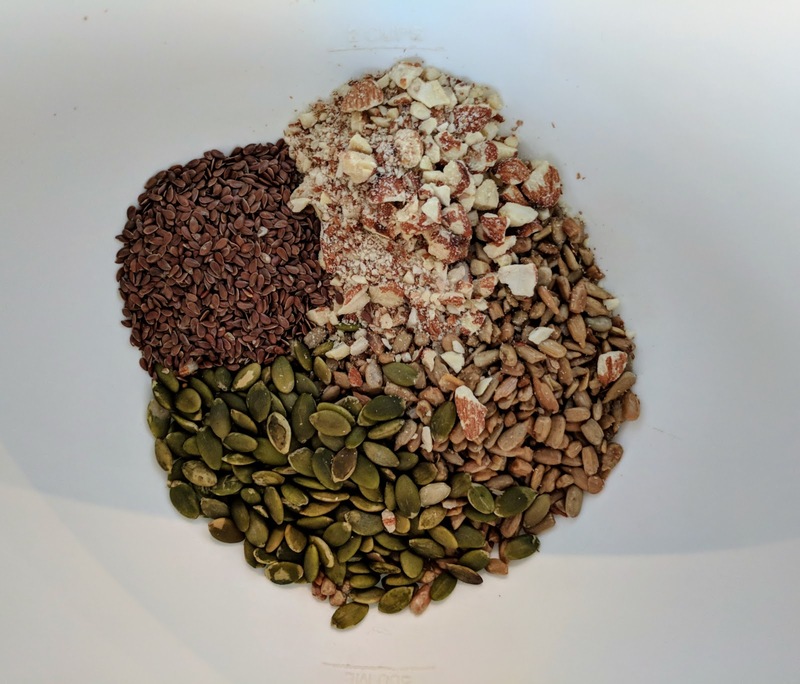 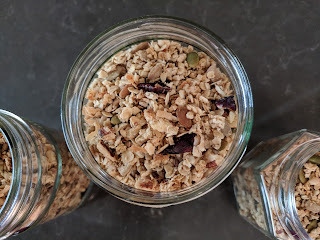 Granola is a healthy snack option at the office or on a hike. 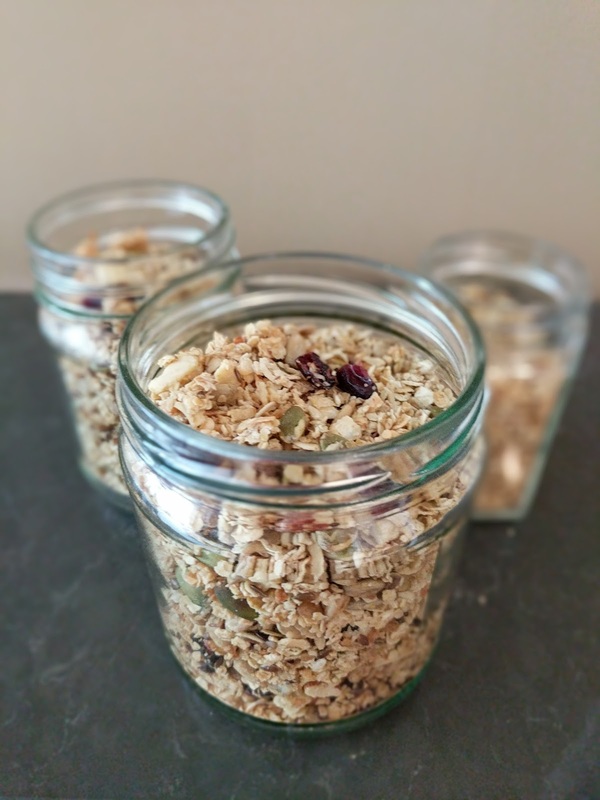 Extras can be stored in airtight jars or OXO containers for 2-3 months (if it lasts that long!). 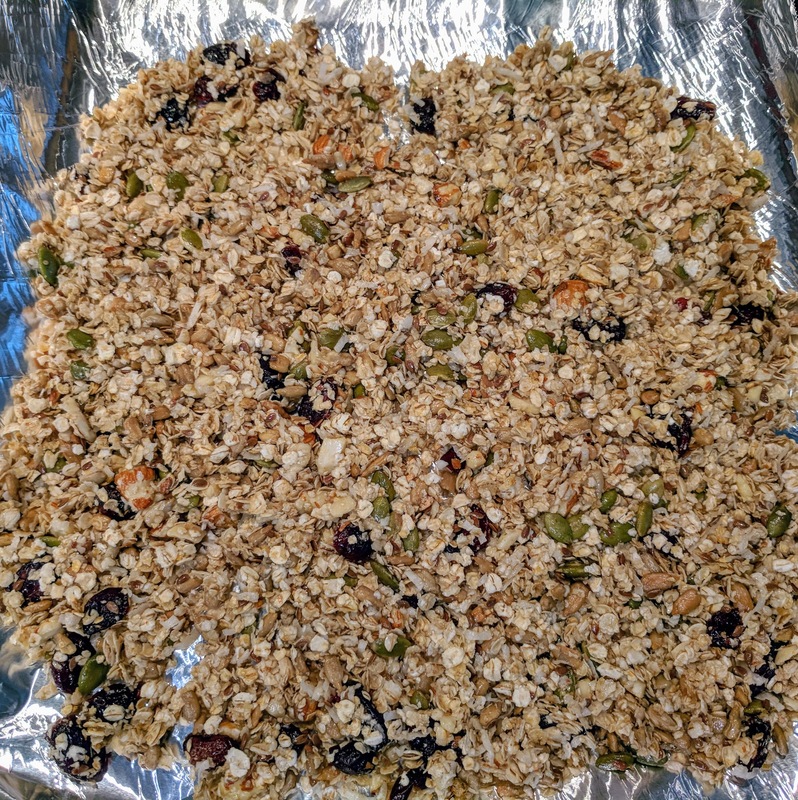 Place the granola on tin foil over the baking pan spread around evenly.